Metabolic surgery is considered as a therapeutic option for obese patients with type 2 diabetes (T2D). In order to identify novel laboratory variables that could improve the selection of patients who might greatly benefit from a surgical approach, we focused on the neutrophil-to-lymphocyte ratio (NLR) as a predictor of long-term T2D remission following metabolic surgery. 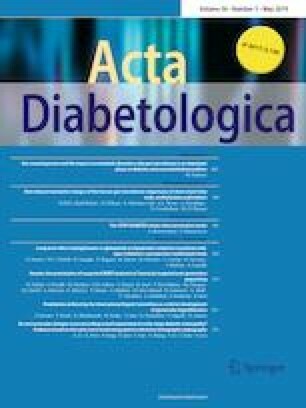 Thirty-one obese patients with T2D included in this pilot study underwent Roux-en-Y gastric bypass or biliopancreatic diversion (BPD) at the Surgical Department of Genoa University, IRCCS Ospedale Policlinico San Martino in Genoa (Italy). Before surgery, serum samples were collected to evaluate blood count, glycemic profile, and circulating neutrophil degranulation products. The median age was 56 years, median body mass index (BMI) was 32.37 kg/m2, and median glycated hemoglobin was 8.4%. White blood cell count was in a range of normality, with a median NLR of 1.97. By a receiver operating characteristic curve analysis, NLR has been found to be significantly associated with T2D remission at 1, 3, and 5 years and the best cutoff of ≤ 1.97 has been identified by Youden index. When comparing study groups according to NLR cutoff, those with NLR ≤ 1.97 were older and underwent more often BPD. By a logistic regression analysis, NLR ≤ 1.97 has been found to predict T2D remission across 5 years, irrespective of baseline BMI. A baseline low NLR is associated with long-term T2D remission in obese patients undergoing metabolic surgery, suggesting that circulating inflammatory cells (i.e., neutrophils) might negatively impact on T2D remission. The online version of this article ( https://doi.org/10.1007/s00592-019-01345-2) contains supplementary material, which is available to authorized users. NS, GBC, and FSP recruited patients and made the surgical intervention. ABona, LL, FC, AV, and FM analyzed samples by ELISA. ABono gave help for the statistical analysis. ABona wrote the manuscript. RC, FD, GA, DM, and FM read critically the manuscript and gave suggestions. All procedures performed in the study were conducted in accordance with the 1964 Helsinki Declaration and its later amendments or comparable ethical standards. Informed consent was obtained from all patients included in the present study.